Who’s ready for some quirky but extra cute nursery decor? I’ll raise my hand as I appreciate the unexpected. If it’s whimsical, original and brings a smile to my daughter’s lips, then it’s worthy of admiration in my books. German company Jäll & Tofta‘s Mr. Moustache has these qualities in ample supply. 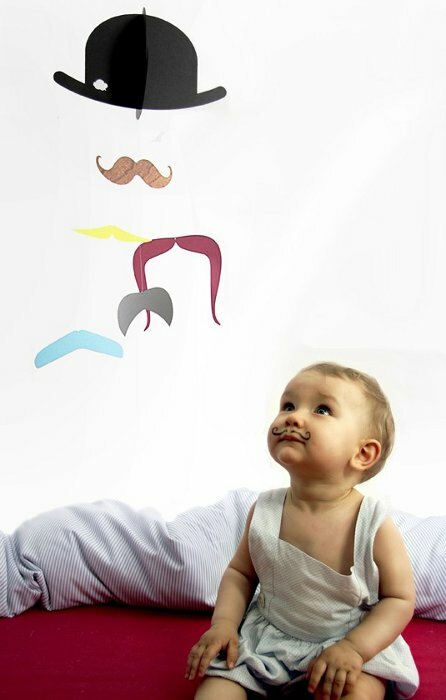 The cot mobile has some fantastic features: black and white colours which benefit the youngest babies (they are said to see high contrast images first); bright colours to keep the attention of older babies; different levels to help develop spatial and distance awareness; and of course it’s marvellous for all those moustache lovers out there! Even my almost-four-year-old daughter had a chuckle when I showed her Mr. Moustache so this mobile is destined to be a hit long after the cot is stored away. 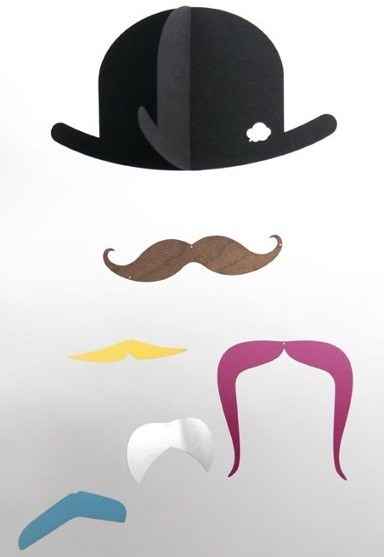 Simply hang from the ceiling for a bit of fanciful fun. To order, head to Jäll & Tofta’s Etsy shop where it’s priced at US$28.